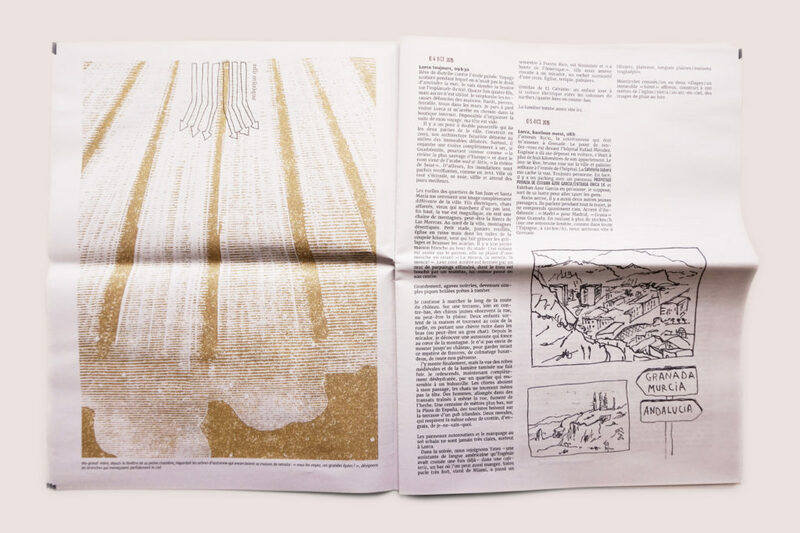 Our Newspaper of the Month for July is Ultramar, an intricate travel journal from Toulouse-based graphic designer Manon Raupp. The digital tabloid documents Raupp's time in Spain and Portugal last summer, incorporating hand-written notes, drawings, collages and photographs. Printed as part of her main postgraduate project, the newspaper included a postcard with a link to videos and experiments with sound collected during the trip. 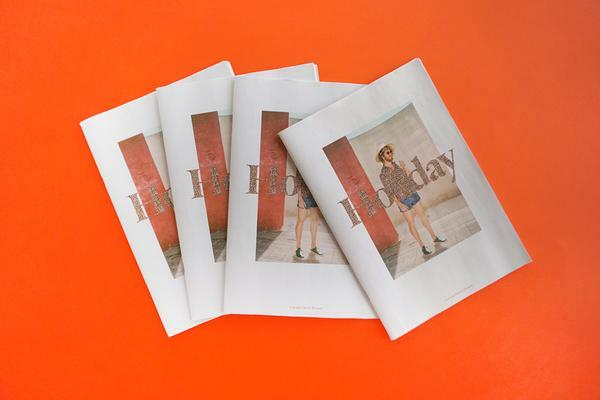 Raupp is the co-founder of new publishing collective La Perche Carrée, which produces zines inspired by travel and urban walks. 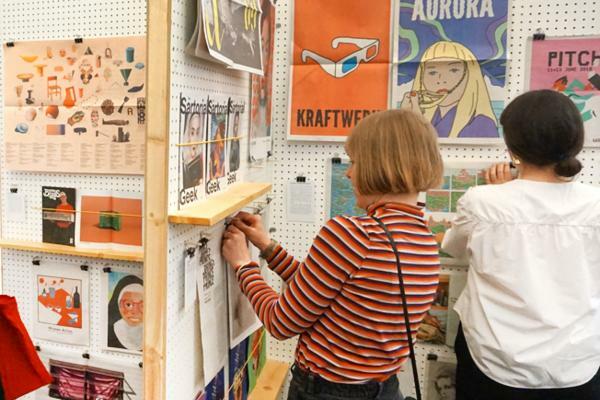 We caught up with her to talk about these publishing projects and her favourite music to listen to when travelling. 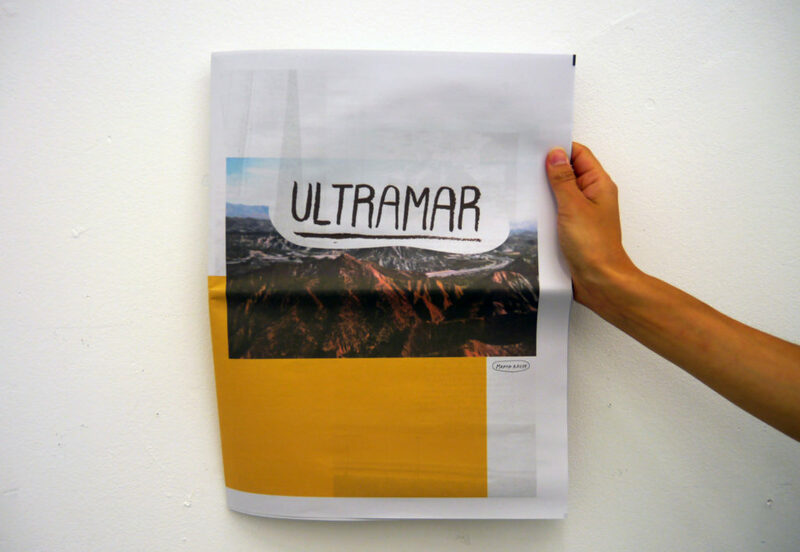 Ultramar is about your travels through Spain and Portugal. Do you have a favourite moment (or food or place) from your trip? The best moment of my travels was probably when I got to Faro in the off-season. The atmosphere was kind of strange. Early in the evening, I went into a tiny bar. There only were a few friends chatting together, no tables or chairs but it was too late to turn back. An hour after, I was still siting of the fridge with some fresh beers, laughing along with them! As a graphic designer and urban walker, you're interested in "how we appropriate our geographical surroundings." Could you share an example? I developed an interest in urban concepts such as psychogeography and dérive while reading Situationist texts. I also got interested in "urban safety" through interacting with homeless people. I started thinking about the way I discover an area. For example, in Granada I decided to walk through the same streets (Albayzín hill) three times: in the afternoon, in the middle of the night and the next morning, writing down new details. I grew gradually more attached and familiar with the place. 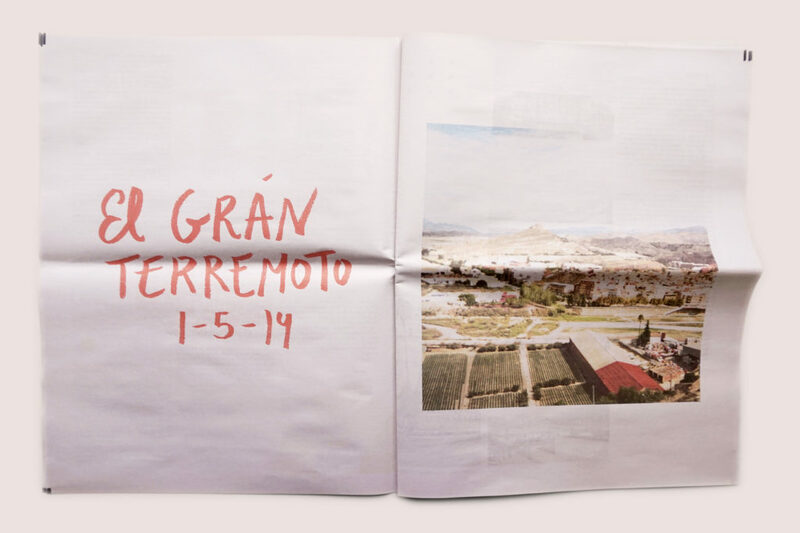 You recently co-founded a publishing collective, La Perche Carrée, that focuses on small travel publications. What inspired that? When I moved to Toulouse, I met my friend Zelda in art school and we thought the best way to discover the city would be by walking around together. We wanted to share our rambles and pretty soon every trip became a pretext to make a small publication. 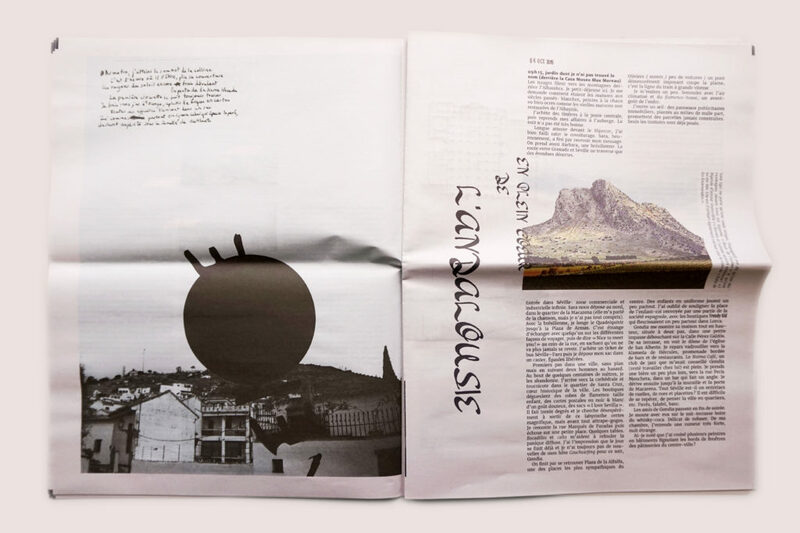 La Perche Carrée is the logical follow-up to converge these publications and set up a dynamic structure. 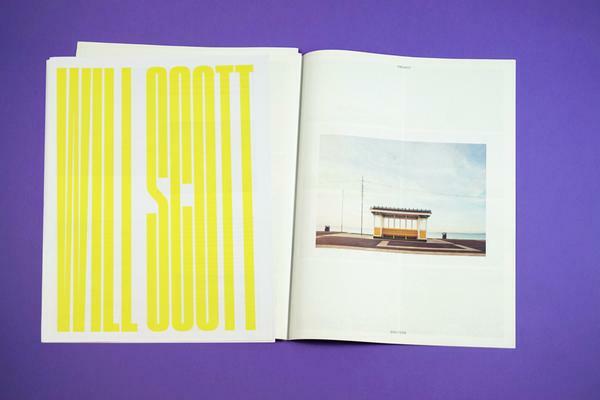 Could you tell us about some of the works you've published so far? In the past few months, we've published projects for our post-graduate degrees: Ultramar and Balade à Balma (which recounts a group walk in the suburbs of Toulouse) but also Porte France Souvenirs. For that one, we went to the Spanish border with a friend for three days and we each made a contribution : comics, pictures, poetry... We like to get diverse contributions. You also publish a music fanzine called Ductus Pop. What music do you listen to when you're travelling? I usually think of a few albums before leaving. For example, during the Ultramar trip, I just had my Walkman and several tapes (it's not a smart thing to do, as every case broke in the bottom of my bag) including Camp Counselors, The Soft Walls and a summer compilation by Track and Field records. Mostly lo-fi and dream pop. Finally, what are your three travel essentials? A notebook, a camera and some anti-mosquito lotion!